Your August dose of AMuslimFund! 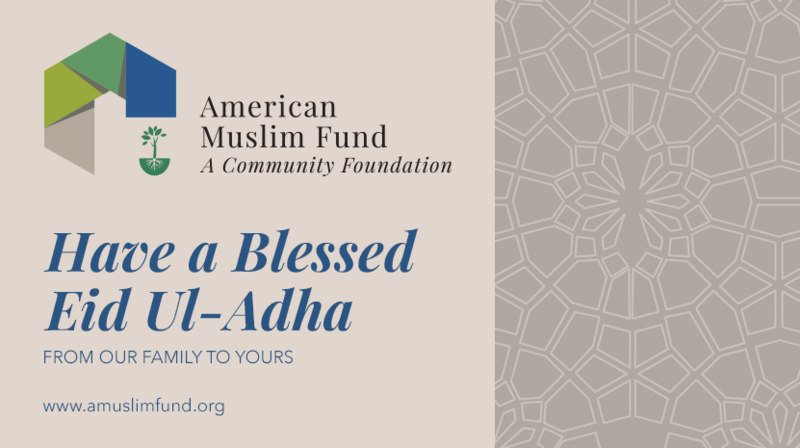 Peace be with you, and an early Eid Greetings from the American Muslim Fund family to you and your loved ones. As families complete their pilgrimage in Mecca, Eid reminds us of the sacrifice Prophet Abraham made with his conviction in God and belief in His message. We commemorate this time by increasing our acts of good faith and sharing of our wealth with those less fortunate. Throughout the year, you have supported our work and sacrificed from your hard-earned savings. 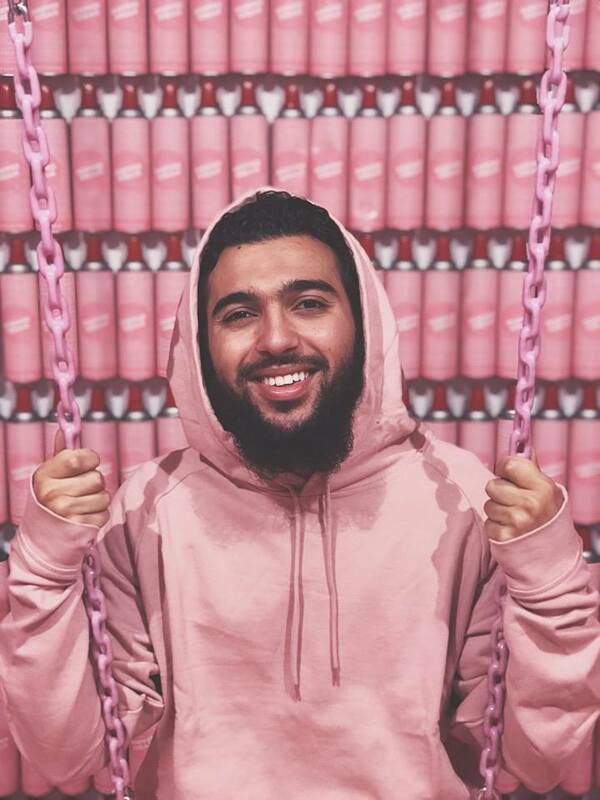 AMF continues to fund important work being done at universities, social justice organizations, hospitals, domestic violence shelters, food banks, mosques, and museums all across the country. More than $450,000 has been distributed to close to 100 nonprofits in just one year. We’ve partnered with dozens of families just like yours to make a difference in the causes they care about through their Donor Advised Funds. In Ramadan we held a successful fundraising drive which raised just over $50,000. Our next goal will be to increase our monthly revenue with your help! This will allow us to expand our team. In July, AMF presented to University of Michigan's Development Summer Internship Program sharing insights on Islam and Philanthropy. We recently redesigned our website to showcase our services to donors and nonprofits! If you'd like to update your information, please do so here. To increase our collective impact and open a Donor Advised Fund or learn more, please visit www.AMuslimFund.org/dafs. Each month we like to highlight one organization that AMuslimFund has supported and which is doing great work. AMuslimFund values the pursuit of justice and mutual understanding for all in the United States, and this month's organization wholly embodies these values. The Council on American-Islamic Relations, San Francisco Bay Area (CAIR-SFBA) is a non-profit, grassroots civil rights and advocacy group. CAIR is America’s largest Islamic civil liberties group, with over 30 offices nationwide. CAIR-SFBA is the oldest office, and since its founding in 1994, it has worked to uphold the civil rights of American Muslims, foster a better understanding of the Islamic faith and its followers, and help find avenues for Muslims to integrate more fully into the broader society. Each year, CAIR-SFBA provides free, confidential, and culturally competent civil rights legal assistance to hundreds of Bay Area American Muslims. More recently, they launched an Immigrants’ Rights program, which has already completed several naturalization applications for clients seeking to become U.S. citizens. Beyond providing direct legal services, CAIR-SFBA also represents the Bay Area American Muslim voice in the media, lobbies elected officials on issues relating to civil rights and religious freedom, and conducts community workshops to empower American Muslims and their allies. CAIR’s mission is to enhance understanding of Islam, encourage dialogue, protect civil liberties, empower American Muslims, and build coalitions that promote justice and mutual understanding. CAIR’s vision is to be a leading advocate for justice and mutual understanding. Learn more about CAIR-SFBA at their website. I've been following American Muslim Fund's work since they started and was impressed with their idea of helping donors streamline their charitable giving. Like many others, I decide organizations I would like to support based on empathy and impact. As a community foundation, American Muslim Fund helps in vetting the organizations and I feel this is a great next step for our community. We have done a great job of supporting mosques and schools, but this allows us to get a better understanding of community needs. American Muslim Fund is a resource of support and a catalyst to equip and fund great causes. Join me on this blessed day of Eid in making a gift today. Muhi Khwaja & The AMuslimFund Team.